Baktygan Kabdykeshuly Kabidoldanov was born on December 3, 1944 into a Kazakh family in the village of Nauly in east Kazakhstan. He graduated in 1972 from the Gogol Alma-Ata Art School. 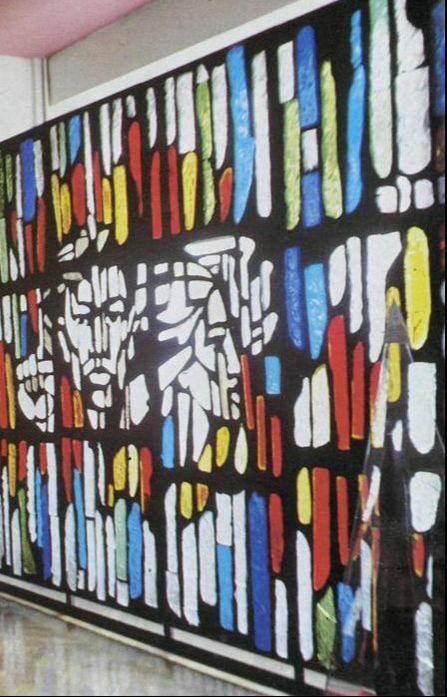 His only visible work in Almaty are the mosaics on the north and south sides of what was once the Department of Civil Aviation, and is now the headquarters of Eurasian Bank. 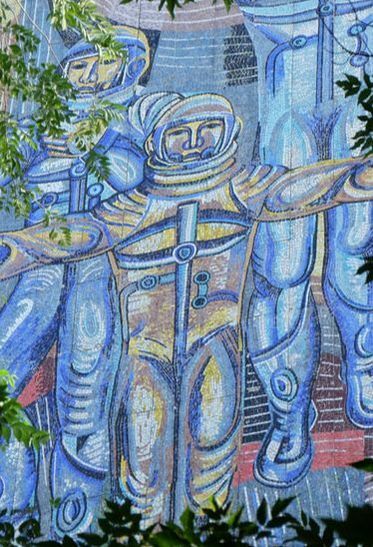 Completed in collaboration with Nikolai Tsivchinskiy, the mosaics depict cosmonauts, pilots and aviation workers, though the south mosaic is no longer easily visible, as it’s obscured by a new office building that was built in 2017. 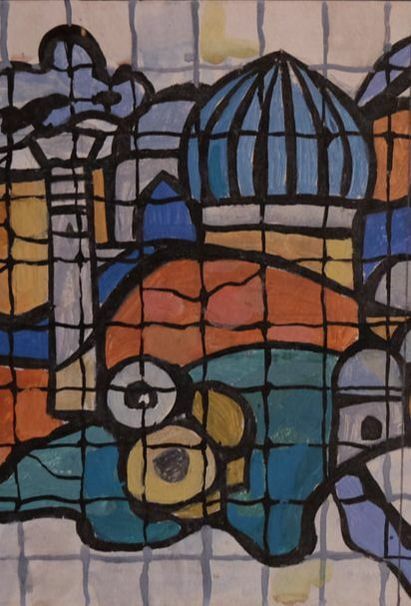 Kabidoldanov’s career is distinguished by his work on two major works of stained glass, both of which were later destroyed. The first, done together with Talgat Iskhakov in 1981, was located at the Museum of Komsomol Glory in Almaty. The space is now a private office and the glass was apparently removed in the 1990s. His other work, with Saule Bultrikova in 1982, was part of the Kumyshana restaurant on Baiseitova Street that would be later closed down and remodeled. In addition to his pieces in Almaty, he made major works of monumental art in in Ekibastuz and Petropavlovsk.